Still, I believe Ms Butenis realized that Sri Lanka was not quite as she had imagined it when she was sent here, and over the next year we worked together very well, since she like some other missions supported my efforts to bring together politicians of different parties to discuss issues in a social setting. I was surprised to realize that such gatherings were not common, and I believe my colleagues all found them interesting and productive, and the heads of mission concerned also seemed pleased that we could discuss things in a friendly manner. Then disaster struck, at least as far as the Americans were concerned. Ms Butenis used to participate more actively in the discussions than other heads of mission, but I thought this no bad thing. Once however she mentioned something quite critical of government, though in terms of a report she had heard, and this was rebutted vigorously by Dilan Perera. Unfortunately that got into the paper and led to a harsh statement about the Americans by Wimal Weerawansa. Ms Butenis was away at the time, but her staff got quite hysterical about this, and told me they thought the government press was trying to stir up trouble. I was a bit worried myself, for the discussions were not supposed to be public, but as it happened the government press did not mention the matter at all, and I reassured the Americans that it was papers opposed to the government who were anxious to create a problem. Dilan meanwhile told me that he had been asked for a comment by the press that had heard about the event from elsewhere, and he had made it clear that the Ambassadress was simply conveying something she had heard. He also told me he had explained all this to Wimal Weerawansa, who said nothing further, and so the incident was forgotten. But not by the Americans. 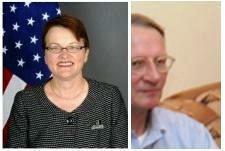 My contact who had arranged the meetings in the first place told me that the Ambassdress was highly upset. She had insisted that Dilan apologize to her if the meetings were to continue, which was not something I said I could ask for, since clearly he had done nothing wrong, and had indeed reduced tensions. Then the message was that the Ambassadress would continue with the meetings, but without Dilan being invited. That I said was not a position I could accept, and if that was a condition, then the meetings would have to stop. At the time I thought the Ambassadress was being childish, but I now wonder whether this was not part of a concerted policy of dividing people up. Had I agreed, it is possible that someone else would have gone to Dilan and suggested that I had let him down. And though this seems excessively suspicious, we know that the Americans have contributed much to dividing the JVP; it is said, though I cannot comment on this, that they have exacerbated tensions within the UNP; and I now believe that there are machinations with the TNA which are also designed to promote dissenting perspectives. .. the productive lines laid down by Rebecca Cohn when she proved an admirable support to Bob Blake’s very American but still Sri Lanka oriented vision. I do not think this is American policy in general, and I believe their aid agencies are still trying to work on the productive lines laid down by Rebecca Cohn when she proved an admirable support to Bob Blake’s very American but still Sri Lanka oriented vision. But after Ms Butenis’s performance with me over Paul Carter, I cannot help wondering whether the tail is not now wagging the dog. That performance was masterful, and would have done credit to Bette Davis. I had been due to see her about possibly renewing the social gatherings, but the date was just after I had written about Carter’s efforts to suborn our military, and the reaction of the Ambassadress was superbly histrionic. I was supposed to have let her down by not speaking to her myself, to which I could only say that, when I had asked for a private meeting, she had put me in touch with Carter instead. I was also told that I had made allegations for which there was no evidence at all, which was I believe a deceitful statement. Previously, when I had brought up Mr Carter’s aberrant ways – which was why I was surprised she wanted me to deal with him when I had wanted to speak to her privately – she had said that he was deeply concerned about human rights and this sometimes made him emotional. 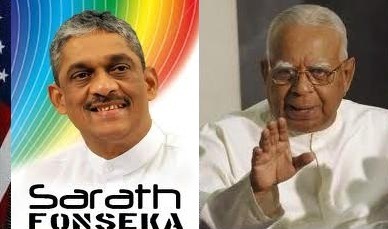 How that could translate into deep emotions about Sarath Fonseka seemed beyond me, and I thought she had at least understood that little inconsistency. But there again it is possible that the lady was simply defending her staff, though I was sorry that she had not been more understanding of our own position when efforts seemed to have been made to undermine the very basis of military loyalty. What finally put the lid on everything was what happened a couple of months ago, when Paul Carter was sent to see the Secretary of the SLFP, and proceeded to harangue him about Sarath Fonseka. Ms Butenis indicated that Maithripala Sirisena had not reported what happened accurately, which naturally led me to suggest that perhaps Paul Carter had not been accurate in his report to her, much more likely given his compulsive behavior over Fonseka elsewhere. Ms Butenis then claimed that perhaps the translator had not been accurate. But what made me realize she was not being entirely honest was her claim that Carter had gone to see Maithripala Sirisena in terms of something I had advised long before, that the Americans were interacting only with the opposition, and should do more about building up links with the SLFP. That was obviously nonsense. Rather, when she told me that she had asked for a meeting herself, but had then sent along Carter because she was busy, I realized that all this was not accidental. Carter had been sent to float a kite, and had Maithripala Sirisena responded at all positively, or only politely (and many Sri Lankans would have agreed to the sort of general statement that might have been put forward about the punishment for Fonseka being too harsh), the stage would have been set for claims that the SLFP was split, and there would have been attempts to encourage further dissension. Fortunately Maithripala Sirisena was far too wily to be caught by such an old trick, and reported the effort – which was when the Americans went into rather unconvincing denial. Each of these incidents would not perhaps mean much by itself. But together they add up to a rather worrying picture, taken together with the far less subtle methods employed by Carter. I think therefore that the Secretary of Defence was right to raise the more flagrant aberration, in the context of the continuing pressure in this regard, but I believe too that our Ministry of External Affairs must be more active in questioning conduct of this sort. Questioning should be polite and confidential, and we should not engage in public blaming, but we should help the civilized forces in diplomatic missions to overcome rogue elements, and work together with us for common goals. Long ago, I had suggested to the Ministry that they call in the then Canadian ambassadress, when she engaged in unbecoming behavior about Rama Mani, when the claim that the doctrine of Responsibility to Protect be invoked for Sri Lanka was being pushed. Our Ministry did nothing, whereas on a much less serious pretext, our High Commissioner in Ottawa was called in and questioned. As usual, we ended up being defensive, whereas we should have pointed out improper behavior as it occurred, and requested that this be controlled. Finally, on a literary note, thinking of these two Ambassadresses, and comparing them with others we have been privileged to work with over the years, I am reminded that Shakespeare was perhaps talking only of males when he suggested that it was best to have around one men who were fat, as opposed to Cassius who had a lean and hungry look. Of course none of the ladies who has served here has been in any sense large, but in general it has been the birdlike Ambassadresses who served in Sri Lanka over the last few years, Ruth Flint Of Switzerland, Kathy Klugman of Australia, Leonie Cuellanar of the Netherlands, Hilde Haraldstadt of Norway, Christine Robichon of France, who have proved admirable in their approach. All of them have raised questions in a forthright manner, but they have never seemed to engage in underhand business, unlike the less epicene specimens from the New World. I am sorry then that Patricia Butenis, whom I had grown to like, should seem akin now to Angela Bogdan rather than the much more sympathetic ladies of slighter build. Canada sent a very slim gentleman to replace Ms Bogdan, though sadly his more positive approach does not seem to have borne fruit in Ottawa. But for the Americans to have declined from the more straightforward approach of Bob Blake, a particularly hungry looking character, is upsetting, so I hope my suspicions will prove misplaced, and the Carter efforts turn out to be individualistic gamesmanship rather than concerted policy. « Is Patricia Butenis without scruples?